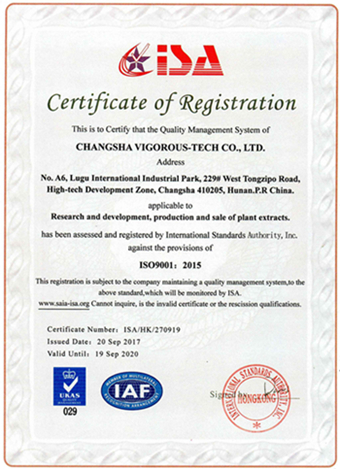 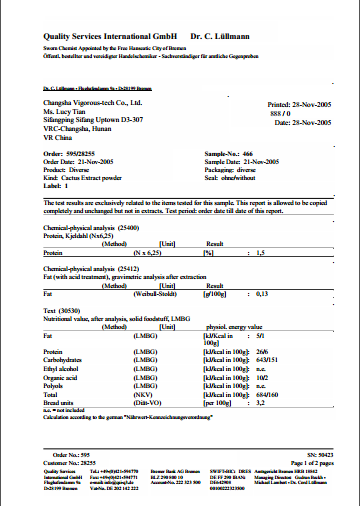 Company Overview - Changsha Vigorous-Tech Co., Ltd.
We, Changsha Vigorous-Tech Co., Ltd., strive to manufacture and supply natural & safe Plant Extract Powder, and serve health for human. 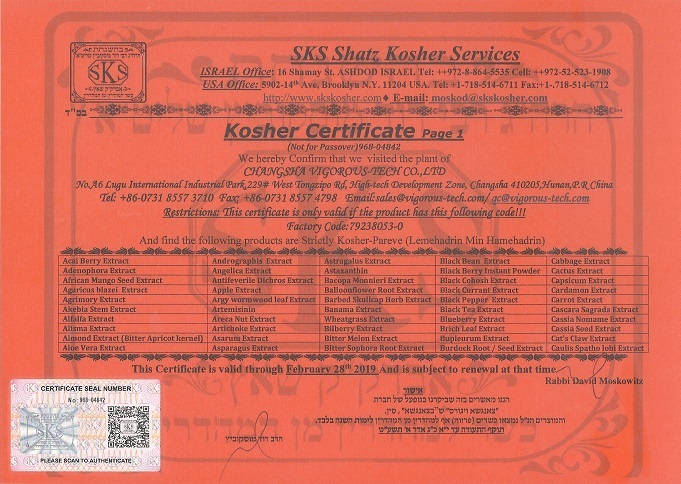 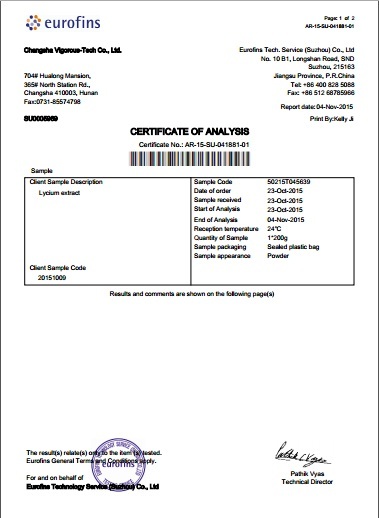 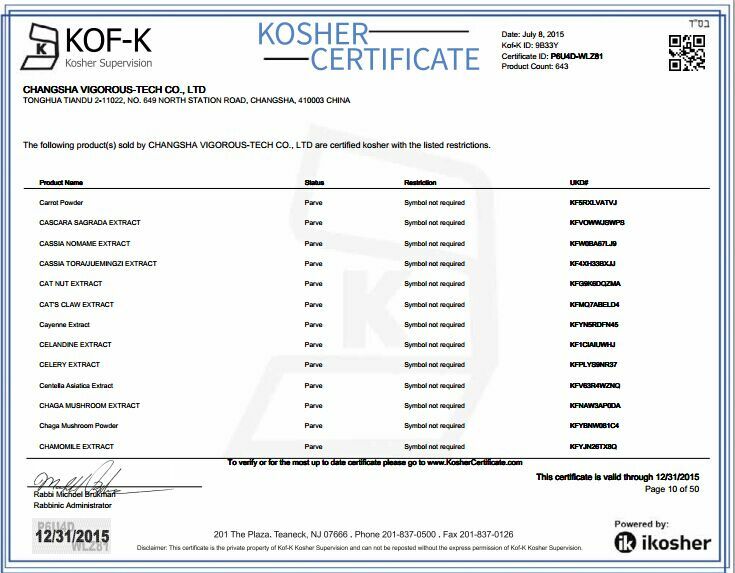 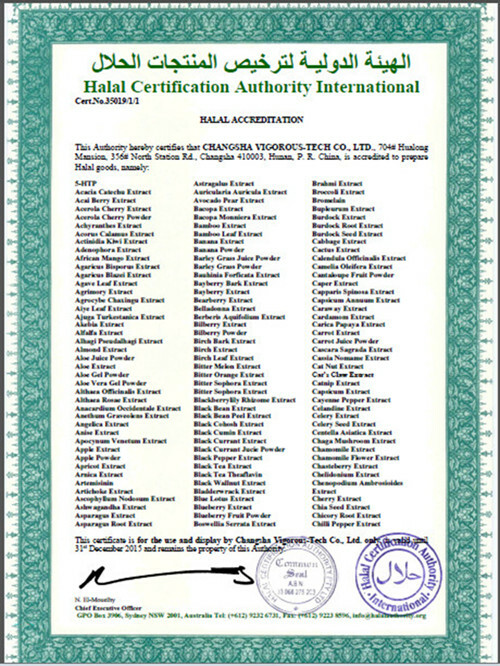 We have two production bases, and many documents can be provided, such as ISO certificate,Kosher Certificate,Halal Certificate. 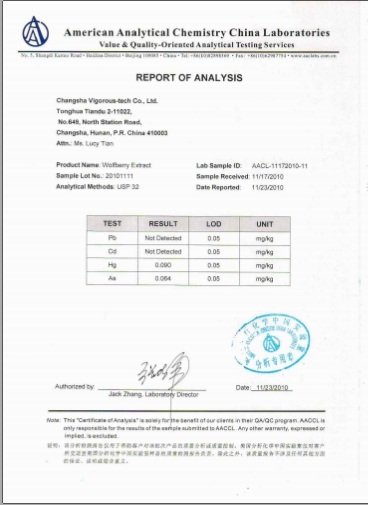 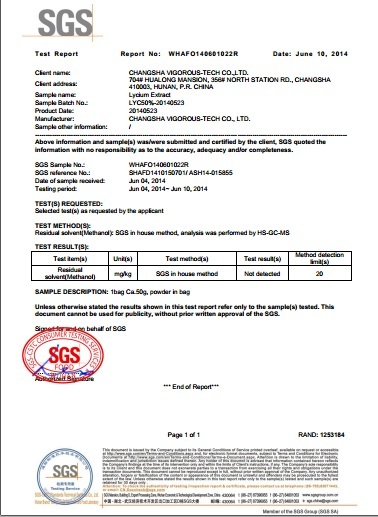 Our R & D and testing are working closely with the Hunan Agricultural University. 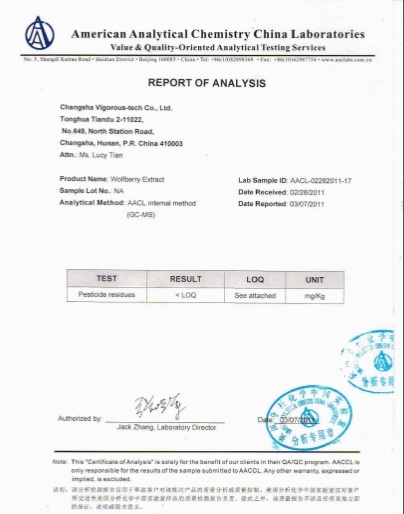 Tea extract such as green tea, black tea, pu-erh tea,, Mushroom extract such as reishi msushroom, shiitake mushroom, maitake mushroom, chaga mushroom, agaricus blazei extract; apple extract, cranberry ectract and more than 300 kinds of plant extract. 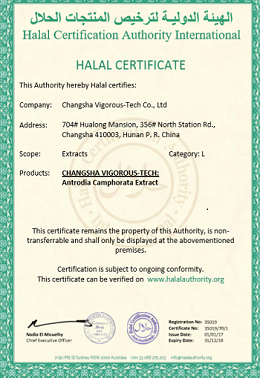 Antrodia camphorata Extract, tongkat ali extract, rosemary extract, Tea extract such as green tea, black tea, pu-erh tea,, Mushroom extract such as reishi msushroom, shiitake mushroom, maitake mushroom, chaga mushroom, agaricus blazei extract; apple extract, cranberry ectract and more than 300 kinds of plant extract. 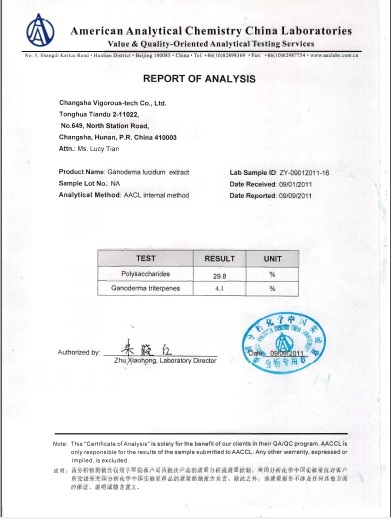 Green Tea extract, Reishi mushroom extract and more than 300 kinds of plant extract.